Have you ever experienced landscape changes like this in one trip.? 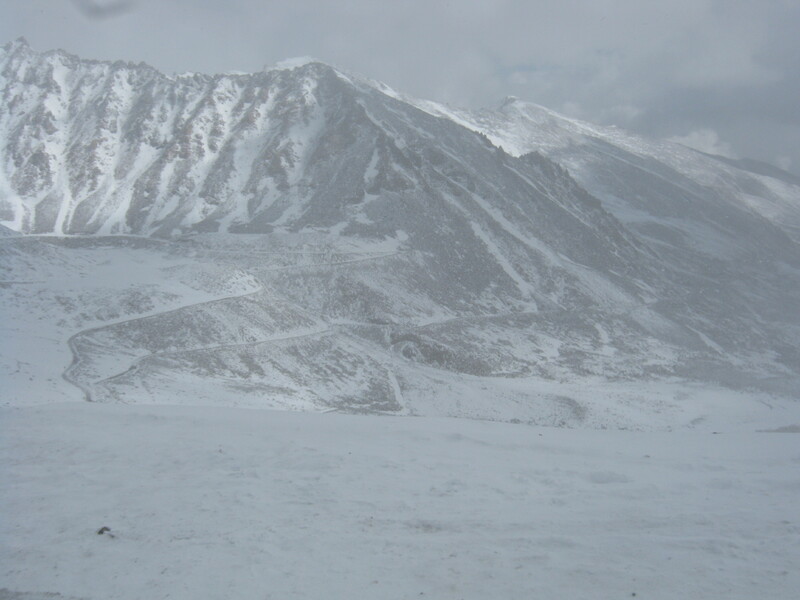 These pictures are from my trip to Hunder in Ladakh through the Khardung La Pass in 2011. 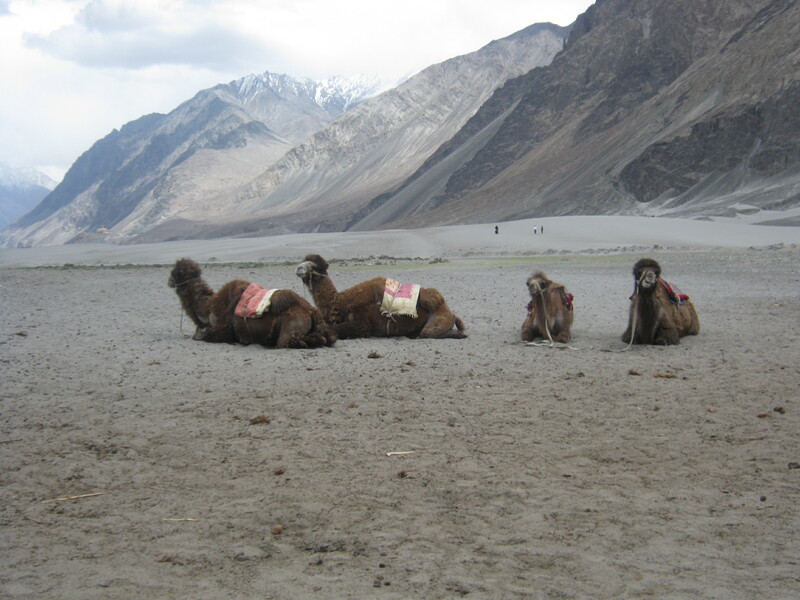 To read my venturesome experience during this trip, visit my post Hunder, Ladakh. To all city dwellers, have you ever longed for a home with the stunning backdrop like this? This photograph was taken enroute to Leh, Ladakh, India. This place is called ‘The Magnetic Hill’. It is located on Leh-Kargil-Srinagar national highway at an altitude of 11,000 ft. This place is really interesting especially for science lovers. Basically, the hills in and around this area are understood to have magnetic properties because of which the passing vehicles experience the magnetic pull. So, we did exactly as the hoarding in the picture says, stopped our car and it slowly moved backwards due to magnetic force. Somebody even told that the magnetic pull is actually so strong that even aircrafts passing over this area have to fly on increased altitude to avoid the effect. Now the twist is, I was really fascinated by this whole phenomenon so I googled it and found that actually there is no magnetic effect at this place but optical illusion (a phenomenon when the visually perceived images differ from the objective reality.) But I am pretty sure I saw the car moving backwards!! Like Robert Frost says certain obligations of life deter you to explore new lands. For some time of course! These pictures are from my trip to Leh (India) in 2011. They are bit crude as not taken from a DSLR. Leh is located in the Ladakh region of India at an altitude of about 12,000ft. Few years ago, it was one of the remote areas but after the surge in the trend of adventure travel, it now sees more tourists than ever. It took us 4 days to reach Leh from New Delhi. 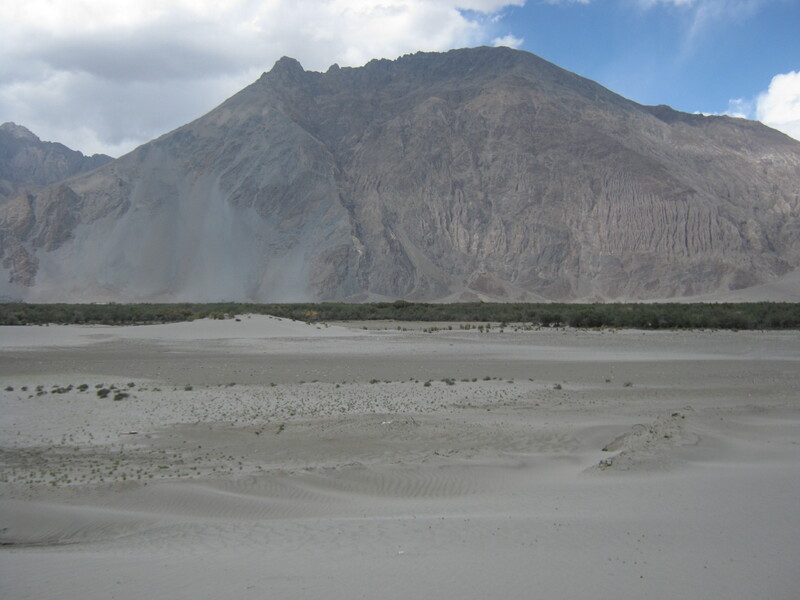 This post focuses on the variation of mountains I saw on my way to Leh. Enroute to Leh, we crossed the Valley of Kashmir. Needless to mention, it is an epitome of natural bounty. It was strange to see the arid mountains after arriving at such high altitude. And snow peak mountains were calling us! The more we elevated, the more arid and barren it got. No gas station at sight or road for that matter. Just an open land and the sky. And in the lap of these arid mountains hid a monastery. Splendid View. After reaching Leh, we made our way to the highest motor able road in the world called Khardung La. And no wonder we saw snow! It was infact so snowy that our SUV slipped, so we walked in the misty mountains like it was planned! Crossing the snowy mountains, again we found desert mountains but this time with a wonderful view of Pangong Lake. Bliss. I couldn’t come to the terms that I was not in paradise!